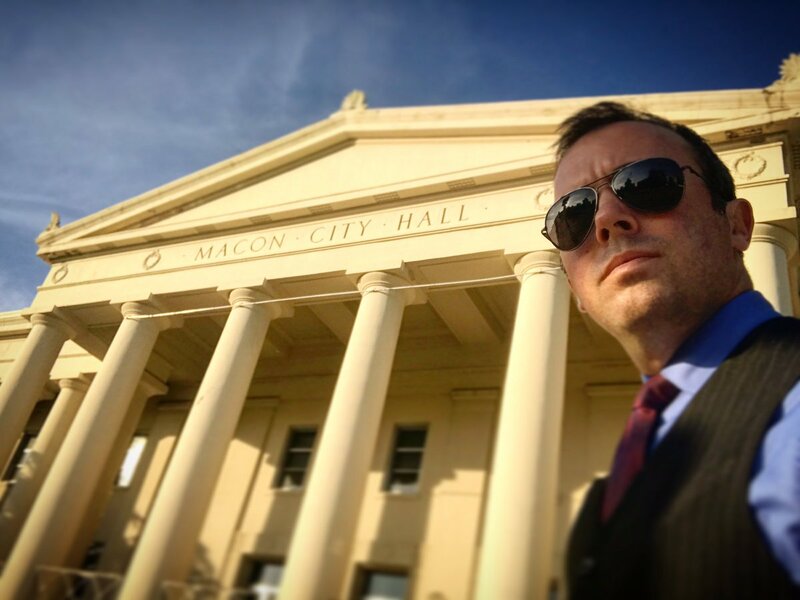 ELGL – Have you checked this group out? I’ve heard they’re meme and pop-up conference crazy, all trying to get you excited about local government. I mean, selfies with City Halls and naming awards after shows making comedy out of our jobs? Mind, blown. Fake News – It’s awful how this term is coming to define our ability or inability to find true, verifiable information and for people to use it against stories they disagree with…but there it is. Social Media – It’s been around in some form or another for decades, but the explosion in its use the past 5-10 years has exposed us to more information and ability to connect than ever before. Customer service applications – Seriously…get your city’s services online so people can request them with a few clicks on their phone. Don’t make them navigate websites and phone numbers! Spin City – Though I detest the term ‘spin’ because there shouldn’t be any when it comes to government communication, this is a hilarious – and sometimes near accurate – depiction of a Mayor’s Office. It’s a random, wild, meaningful, and fun place to work. Local news broadcasts – Even when I go to other cities, I’ll flip to the local news to see what’s going on. I don’t know anything about the topics or any of the backstory, but I still have to watch. And it’s even better when I end up recognizing the journalists because they got their start in Macon. Star Wars Clone Wars & Rebels – I’m a nerd; my wife and I were married by my brother wearing a Darth Vader mask and two friends were in Jedi robes with lightsabers. ‘Nuff said. Supernatural – This was my wife’s favorite show that she got me hooked on years ago. It reminds me of X-Files, where each episode stands alone, but you occasionally got a glimpse or story arc about some bigger issue going on. Listen before talking. A lot of people just want to be heard and for someone to listen. So make sure you listen to your elected leaders, your department heads, and the people as you make decisions. Take their input, and then show people your decisions were based on their input. Match your message to your action. Messaging (slogans, soundbites, releases, tweets, posts, presentations) mean nothing if the work your government is doing doesn’t support it. If you’re saying one thing and doing the exact opposite, you’ll lose the trust of the people you serve. I don’t care what you want to do; tell me what you’re doing. When you talk about what you want to do, people hear you say that’s what you’re going to do. So months later, they’re wondering why you haven’t done what you said you’d do. Trust me, you’ve got enough going on in government that you don’t have to use wish lists to prove you’re working. Yes or no, you’re wrong. Recognize that no matter what you do, someone will complain. It’s the nature of government. So don’t get offended or put off when someone tells you you’re wrong. Remain calm, explain the reasoning, and keep moving forward…unless they changed your mind. Then make sure people know you’ve changed your mind. Floco Torres’ Downtown – Work for local government? Check this out and see the pride people can have in a downtown. I start all of my local government communication trainings with this song, as well as his East Macon Arts Village track. Foo Fighters’ Something from Nothing Though it’s about a real fire in a city, the lyrics could easily be applied to what cities across the country are trying to do to revitalize their areas. It’s building something from the ground up, it’s tapping into the creative spark of the community, it’s lighting a fuse…it’s a city plowing forward to do what’s needed. Queen’s Bohemian Rhapsody – Seriously…there aren’t many better songs. If you don’t sing along with your friends and don’t bang your head a la Wayne and Garth when it comes on, well. There’s no hope for you. Check out the audience singing it before a Green Day concert and try to deny you’re not getting chills. Amerson River Park – This was my neighborhood park for 3 years. 160+ acres, miles of walking trails, a playground, pavilions, and river access for tubing and swimming. Thousands of people visit each week throughout the summer, but it never feels crowded. Soon, it will be part of 12-15 miles of trails and parks along our river. Downtown – The center of our community. Food, entertainment, festivals, health and wellness opportunities, parks, services…it’s got it all. And you can walk to each! Government Center – Seriously. If you live in a community, you should be attracted to how government is run. Come check out the public meetings and learn how your tax dollars are spent…or watch it online. Ocmulgee National Monument – The birthplace of our entire region that will become (hopefully) the Ocmulgee National Park and Preserve. With entrances into the east portion of our county and into our Downtown, it attracts thousands of people from all over the world every year.